You know you need protein, but what are the best sources? 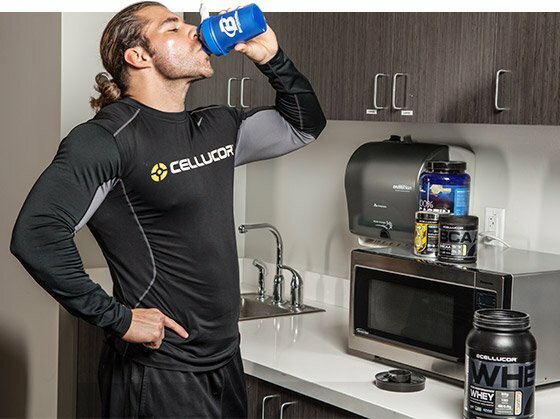 Try these options from Team Cellucor for optimal flavor, variety, and nutrition. An old workout adage states, "The best workout is the one you'll do again." In other words, you can weigh the relative benefits of various training styles, but ultimately, what matters is that you do something repetitively. The same adage can be tweaked for protein. Some protein sources are better than others, to be sure, but what matters most is that you eat enough to support your hard training in the gym. So things like taste, convenience, and accessibility count along with amino acid profiles and biological value. 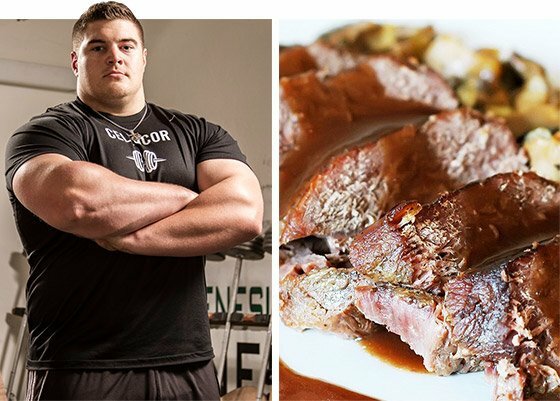 I asked members of Team Cellucor to offer up their best options for protein sources based on all of those factors and more. Check out their rundown! Many weightlifters love steak as a protein source, and Karina Baymiller is no exception, naming this her top pick. 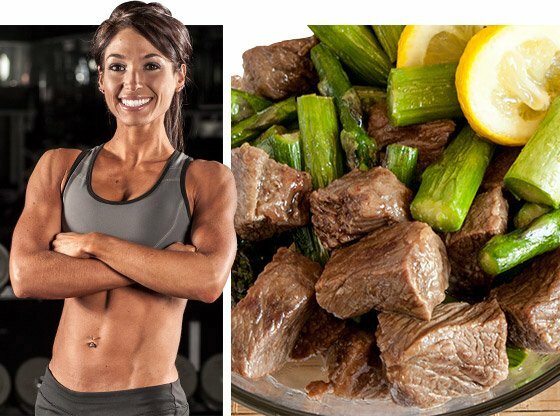 "I love all forms of protein, but when it comes down to it, the flavor-to-protein ratio of steak is unbeatable," she says. K-Bay's favorite cuts are flank and sirloin steak. Steak is an excellent source of lean protein, and it packs a powerful dose of iron. It helps working bodies fend off fatigue during exercise—which can occur in people who begin to suffer from anemia, a condition in which you don't have enough healthy red blood cells to carry adequate oxygen to tissues. Every 4 ounces of top sirloin steak comes with 2.1 milligrams of iron, which puts a nice dent in the daily recommendation of 8 mg per day for men and 18 mg per day for women. Steak provides plenty of B vitamins too. That 4-oz serving gives you 44 percent of your daily niacin intake, 35 percent of your vitamin B6 intake, and 33 percent of your vitamin B12. If you opt for grass-fed beef, ingest a generous dose of omega-3 fatty acids, something many people lack in adequate amounts. Those fatty acids may help boost insulin sensitivity, improve mental health, and fight inflammation. A 4-oz steak also supplies a good dose of zinc, providing 37 percent of your daily needs. What's more, zinc may offer metabolic and immune system help. When it's time to get his protein powder, Craig Capurso reaches for Cor Whey Peanut Butter Marshmallow. "I'm a lover of all things peanut butter, so this plays right into my obsession," he says, laughing. Craig's go-to supplement also provides 20 percent of your daily calcium needs. Maximizing the response to your gym efforts is no joke, though. Whey is a fast-digesting protein powder, which helps to initiate protein synthesis at a much faster rate, allowing for greater growth and recovery following your workouts. Cor-Performance Whey comes complete with added digestive enzymes to help accelerate the breakdown of food and support the proper uptake of nutrients. Craig likes this product's macronutrient ratio: 25 grams of protein per scoop, only 1.5 g of fat, and 3 g per serving of carbohydrates, only one of which is sugar. Craig's go-to supplement also provides 20 percent of your daily calcium needs. This is particularly helpful for those who don't regularly eat a lot of dairy. Colton Leonard can haul a deer from a forest without much strain, so it stands to reason that venison is his favorite protein source. "I really like venison, especially deer meat," he explains, "And, being a Texas boy, I do enjoy the occasional hunt to stock the freezer for a year or so of high-quality meat." Venison is far leaner than regular beef; sometimes it's even leaner than chicken. "With just 6 ounces, you can get almost 50 grams of protein and fewer than 6 grams of fat," says Colton. Venison also contains less saturated fat and cholesterol than beef, but just as much protein as any other source." Venison can be found in a number of different forms: dried jerky, burgers, or cuts of steak. It brings versatility to any diet plan. "I really like venison, especially deer meat," (Colton) explains, "And, being a Texas boy, I do enjoy the occasional hunt to stock the freezer for a year or so of high-quality meat." On the micronutrient side of things, venison offers a powerful dose of iron, providing 3.3 mg per 4-oz serving. Beef, known for its high iron content, has 2.1 mg. Venison is also a rich source of B vitamins and will provide 37 percent of your daily need of niacin, 24 percent of your daily intake of riboflavin, and 15 percent of your intake of thiamin. "I love my grilled chicken breasts and egg white omelets, but my top choice is Cellucor Cor-Performance whey because of convenience," says Jen Jewell. That's particularly handy when Jen travels, which is a regular occurrence these days. "It doesn't require a refrigerator or anything to store it or keep it cool, so it's the perfect option for protein on the go." She also loves the fast digestion and versatility. "I've added scoops of protein to my coffee on the go, and just yesterday morning in an airport, I added hot water to dry oats and stirred that up and then added a scoop of protein. It was a healthy breakfast during my layover." As you make your protein choices in your personal diet plan, be sure to consider protein powder, steak and venison! Meeting your protein needs will always be priority one; after that, get a variety of high-quality sources. For your gains, protein will be of paramount importance. Check out cellucor's complete supplement lineup!Go Now!